You probably already have the secret ingredient in your pantry. Sometimes you need a crowd-pleasing cookie, and we’re not just talking about flavor. What will you give your friend who’s lactose intolerant, or that cousin who has Celiac disease? Well, Food & Wine's Culinary Director, Justin Chapple, has created a cookie that can be enjoyed by all: Chocolate Pretzel Crinkle Cookies. In the latest episode of Mad Genius Tips, Chapple turns a chocolate crinkle cookie both gluten-free—by using gluten-free pretzels instead of flour (he recommends the brand Glutino)—and dairy-free, by substituting canola oil for butter. The swap of canola oil for butter is easy enough, but the pretzel twist in these cookies might sound surprising. Instead of using an alternative flour, Chapple pulverizes whole gluten-free pretzels in a food processor until they resemble a flour-like texture. The other dry ingredients are then added to the finely-crushed pretzels. Another benefit of the pretzels is that, since they’re salted, there isn’t a need to add additional salt to the batter. Pretty much the only type of person who won’t like these crinkles are the chocolate haters. (But even they might find something to love, between the savoriness of the pretzels and the powdered sugar coating.) 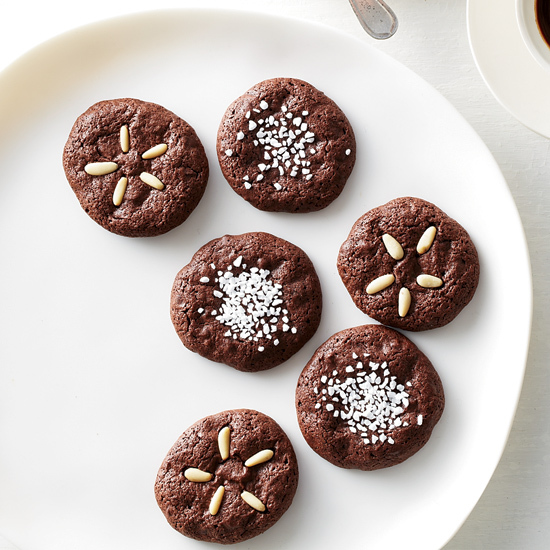 Since chocolate is the primary flavor, Chapple recommends opting for a high-quality, dark cocoa powder that will lend itself to great taste as well as a pretty cookie. “It’s gonna give you a ton of really chocolatey flavor and a really beautiful color,” Chapple says. 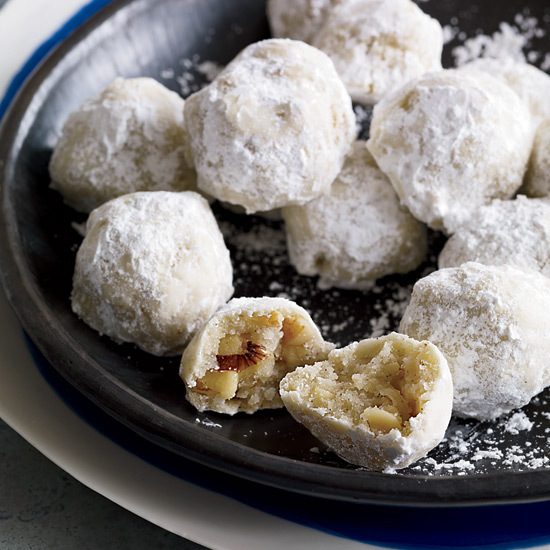 Chocolate aside, remember to smother the dough balls in as much powdered sugar as possible. The dough flattens out as it bakes, and the chocolate inside will crack through the sugared outside, creating those beautiful crinkles that give these cookies their name. If you have a favorite cookie that you’d like to see become gluten-free, let us know by tagging us at @foodandwine.